Refit2018 to include: new sails, watermaker, solar panels, inverter, new electronics, dinghy and outboard, new hatches, and many small improvements. Plus new cockpit cushions, interior cushions, detailing and new bottom job. 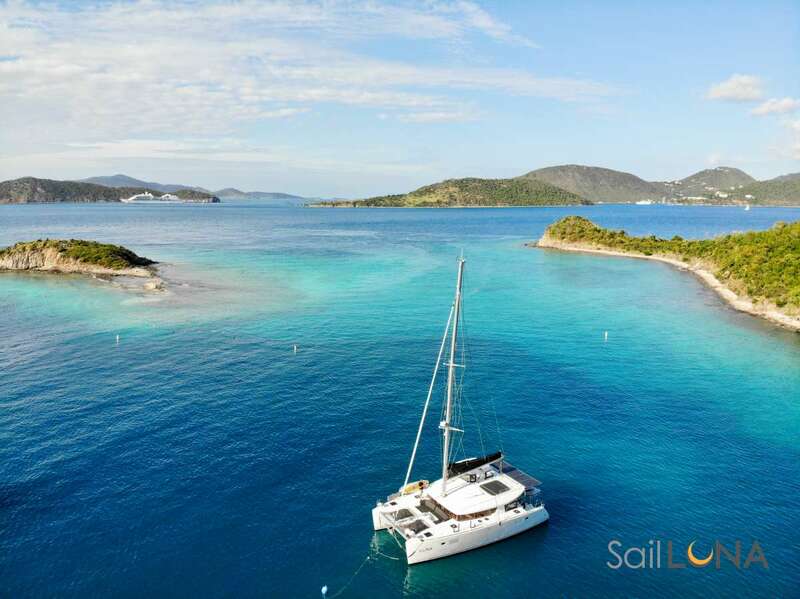 While always enjoying the pleasures of the sea, they have been boating the waters of Florida, the Bahamas, and the Caribbean for over 40 years. Scott´s part time job while in high school was as a mate on a fishing boat on Miami Beach. They are happy to show you the Bahamas. Their personal experience and knowledge - including the top water play and party spots - are a bonus for any guest. They have run hundreds of charters over their years of being professional captains and are well known in the charter business. They ran a very successful marketing campaign as the Captain/Crew of the Heineken yacht and have also captained larger motoryachts on trips from Maine to the Caribbean. Captain Dave Calvert has been sailing for more than 40 years. Over this time he has logged over 60,000 miles of ocean sailing on boats he has owned. In addition to this, Dave has been a world-class racer, winning over 14 National Championships on catamarans and trimarans. Dave also was crew of Steve Fossett´s 125 ft. mega-catamaran, PlayStation. During 2001 and 2002, as a driver onboard, he helped to set five world records including both Trans Atlantic records and the 24-hour speed record. Dave has owned and operated Calvert Sails for over 37 years and continues to design and manufacturer world-class multihull and monohull sails. So, if you want to feel confidence in a skipper, Dave is your man. He is a current holder of a US Coast Guard captain´s license with all Bahamas charter permits. Send us an inquiry to get specific pricing for Destiny III. November 2018 - So Much Fun!! What a wonderful time we had with you aboard Destiny II. It was planned as a research trip but turned into so much more - a fabulous vacation that allowed us all to reconnect as a family. It is clear that you worked super hard before the charter to pull everything together, which is greatly appreciated. Thank-you for doing such a great job of showing us the Islands, we really packed so much in during the five days with multiple stops per day, (but still plenty of beach time) - thank-you Matthew for your endless patience with all my questions. You clearly have a great depth of knowledge of the Bahamas. You were both so kind with the children and gracious in your hospitality. And although I understand provisioning is difficult in the Exumas (and you didn’t have much notice for our trip) every meal was delicious and the menu was well planned. The beach bonfire on the last night topped it all off - the kids have not stopped talking about the ‘Smores’ - what a lovely finish to the trip. I have to tell you this was an awesome trip!!! The boat is spectacular, clean and luxurious, with all the added modern needs, like your own ensuite ,wifi and surround sound, while cruising in the Bahamas. The fresh food was delicious and healthy. The Vitamix makes great pina colada and juices too! Thank You!! Jennica and Matthew for being such great hosts, that made us feel safe and relaxed on such a great big Ocean Adventure! If you have never been on a boat in the Caribbean then you should try it! Dear Captain Matt and Jennica, Thank you for an amazing stay aboard. We fell in love with Exuma Islands during our stay, many thanks to you for showing us the treasures and gorgeous secrets these islands hold. The adventures and togetherness our families experienced far exceeded our expectations. Thank you for keeping our families safe during our travels. Jennica, your cooking is spectacular! All six of us ranging from ages 8 to 52 loved your creations you created from scratch. You spoiled us and we loved it! We will surely miss your lasagna, as well as the two of you! We hope to sail with you again! We strive to bring you the freshest and most delicious fare. Our produce and recipes are hand picked with Love. As you give us your attention, we cater to your tastebuds. A small sample of what we have coming out of the galley. It’s very important to fill out the Preference Sheet completely! So that we can give you the best culinary experience. Fresh Bahamian Coconut bread French toast with fresh fruits and the best selection of local Jams. Home-made Pizzas topped with Fresh Herbs. Smörgåstårta, or like you would call it in English “sandwich cake” it’s a traditional Swedish dish with all kinds of delicious yummies on it. Conch, Fish, Seafood or Coconut ceviche. Summery pea soup with turmeric scallops. Steamed walnut, spinach and feta cheese dumplings. Irish potato cake with smoked salmon and a dill sauce on side.-Broad beans, garlic and feta cheese bruschetta. Homemade guacamole and Tex-Mex Salsa with chips. Chicken Teriyaki in Peanut Sauce with Stir-fried Vegetables. Seared Ginger and Honey Mahi Mahi with mango salsa, creole sauce, Greek salad roasted potatoes topped with dill. Bacon wrapped Filet Mignon with Swedish Mashed Potatoes, red wine sauce and three cheese stuffed beetroots. Slow-Cooked Jamaican Ribs with Corn Basted in Sea-Salt Basil Butter and Summery Potato Salad cooked over a Bonfire. Texas seasoned bone-in Ribeye with fresh basil and parmesan cheese salad. Lobster quesadilla stuffed with peppers, cheese and creamy sauce. The wine tasting, cheese plate evening & Collect your own Conch Salad Excursion!